I always get teary when Jake is found and talks to his mom and Jason gets to hear and helps to get their son back! takes Jason awhile to say those words. But he did. I really wish they would have let Sonny be more like this on the show. More caring of his best friend/brother. Second time reading this and loved it the 2nd time around!! Love it and a great s/l. This is the second or third time reading this and I love it everytime! This is my review for all the chapters. Absolutely love this story. 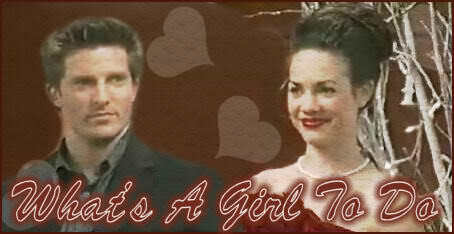 It's so sweet when Jason really shows Liz how he cherishes her in his life and his love. One of my fav short stories of my fave couple. Oh I love it when Liz takes charge with Jason. Nice little quicky. Haven't seen this on this site before. But I haven't been here in a long time. Go one. Love this story. It was nice Lorenzo got to be a good person for Liz and Jason. Ric well is Ric. Never liked his character that much. Wow I don't think I ever got to finish this. If I did I don't remember it. Great story. Love that Johnny and Liz are comfortable with each other! Can't wait for Jason to find out. I believe I started this once before. It has such a good s/l that I'm reading/new reading I think the later chapters. Awesome start. Ah yes now it's coming back. Gotta love Cam! I'm beyond happy they are on their way. Rick and Sonny are gonna be really unhappy. Couldn't happen any better. Jason is being a jerk. Manny is the devil I hope he takes Liz and Cam out of the country. Also Jason does need to let her forwarn the family. Let them know about Rick. OMG Cam had given me tears in my eye's. The poor kid has parents that needtalk and come to some kind of relationship for Cam's sake. I'm worried Sonny bugged the Q's. Well I'm glad Carly got out of there and AJ now got his. I hope they discuss so they can prepare. Jason better get his act together and grow up.